I’ve been doing a lot of reflecting on how the Amish, Hutterite and Mennonite groups that live in this area are a good mirror for us to look into. I’ve mentioned in a sermon how scripture is a mirror for us if we learn to look, and how the people in scripture and in our lives can be mirrors. In previous postings here I’ve held up some things I’ve been told about such folks and used them as a mirror to ask how — even though we think we are very different than them — some of our behaviours are actually quite similar. Some of their obvious-to-us habits and patterns just might be some we have our own version of. For instance, as I shared Sunday evening, most CRC’s still tend to dress themselves in subdued clothing styles and colours. I can’t think of any really flashy vehicles being in the parkinglot, some nice ones, but not flashy, just like in the parkinglot of the Mennonite churches. I recognized some of these reserved traits in myself this past week as I shopped for a replacement car. Some options, like power sun or moonroofs, seemed frivolous to me as did the feature one salesman was trying to get me pumped about “and the speakers light up in different colours as the music changes!” And I wanted to say ” That is SO lacking in practical necessity!” But that would be the plainclothes Amish in me speaking out and they don’t speak out. They just don’t buy frivolity. Publicly, that is. So, I am realizing that I might just be more Amish-ish than I thought. I first started using the “Plainclothes Amish” descriptor with the Transition Team of the last congregation I served. That community had been a typical CRC rural enclave where everyone worked their farms and met on Sundays, and didn’t have a whole lot of dealings with regular Americans. But some 15 years ago they had what they refer to as the “Farm Crisis” and one could not live from farming alone for a time. So the farmers and/or their wives, took factory jobs (Pella Corp and VerMeer are major employers nearby), sometimes splitting one job between two people so they could both keep the farm going and actually earn an income. These jobs brought them — somewhat to their shock — in close contact with regular Americans. Several of the men told me, with the shock and puzzlement still showing on their faces and voices years later, how challenging it was to work with a guy who had a problem with the bottle, or who was excitedly planning for his third marriage (which the CRC guy was pretty sure was not going to go any better than the first two), or who had been in jail, or who believed he was a woman trapped in a man’s body all his life. They admitted that nothing much in church or catechism had prepared them for those relationships and the questions they raised, and wanted advice on how to handle such situations. Hearing them, I realized how isolated they had been, circling only among farmers of their own kind, and at church and the Christian School. Switching CRC churches had been the most radical change most of them had ever dealt with, and within the CRC circles that was a radical thing to do! So I began to see that until the farm crisis they had been able to be much like the Amish, a comfortable-with-themselves colony. The only thing different from the Amish was that the CRC’s did not wear as obvious a uniform, yet they were uniform in the reservedness of what they wore. At first the Transition Team was upset with the monicker, but when I explained what I had seen that caused me to apply the label, they agreed it was not out of line. So, now, here in Nobleford, seeing similar things in the church community and in myself, I wear my upper lip bare to show that I am plainclothes Amish/Hutterite/Mennonite. One more thing needs to be put in writing to prompt reflection. Sunday night I mentioned that we, as Christian Reformed folks, might not be ‘keeping up with the Joneses’ like others, but how we might actually be competitive in keeping up an appearance of frugality. So we might be ‘keeping down with the VanJonesmas” instead. Can you catch yourself doing that? This next article about running a church being one of the hardest things (similar to running a hospital or a university) is something to let the brain chew on: http://www.churchcentral.com/blog/11155/Leading-a-church-more-complex-than-leading-a-business?utm_source=NetWorld+Alliance&utm_medium=email&utm_campaign=EMNACCC09132013v2 It also is thought provoking in the things it mentions that make it difficult. For me 2, 4, 5, 6, and 9 stood out, but 10 is also a demanding reality. A word of explanation: This week I am a little preoccupied with the final forming of the Transition Team, with planning sermons ahead a bit so I’m not scrambling after my week away to attend my daughter’s wedding (I also hope to attend the Kings University College Presidential Inauguration Oct 5th), and I’m trying to replace my car, which I was informed last week is deemed “not worth repairing” from hail damage. So by my own deadline of Tuesday night, I had no bright or pressing ideas for the blog, and went with plan B of sharing other info. 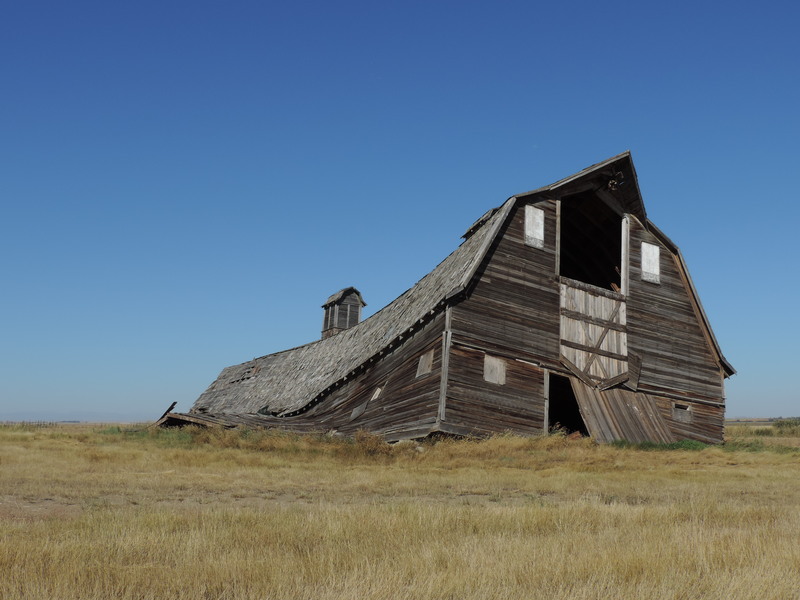 This barn is in transition from standing to lying down. It is no longer a barn, nor is it a pile of rubble, it is changing from one state to another. This is a transition of deterioration (to most people). The word means change: moving from one phase to another. Video editions will be created if time allows and link posted here. A video recording will eventually be made, but I am just back from the dentist and would not be understandable if I made it now.